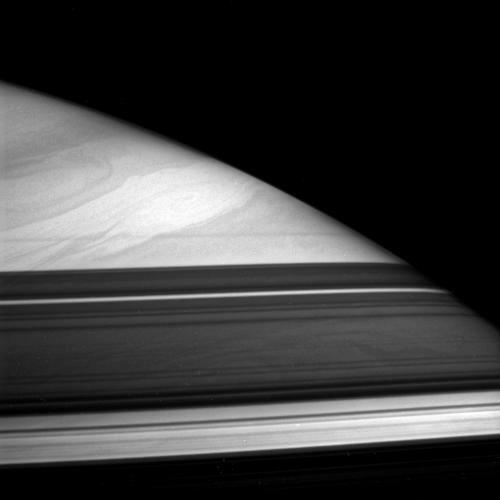 Way north on Saturn, the cloud tops emerge from their winter ring shadow. 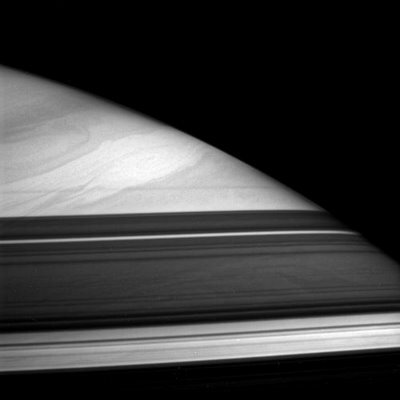 Check out the Cassini site (see side bar) for more nice images. This one was taken with an infrared filter, not exactly what you would see with a b&w camera in orbit. What Cassini won’t get to show us is what it’s like to be in the Saturn cloud tops looking up at the rings. That would be a sight!